No one talks to you about how hard it is leaving your home in the care of renters. When you read articles about leasing, most educate you with checklists to complete to get your property in order. They rarely talk about the emotional struggle of leaving your home in the care of others and how to find suitable tenants. As much as we would like to have a “good feeling” about the potential tenants that show interest in our property, it's important that we have guidelines. None of us want to admit it, but even a remarkable first impression does not guarantee a solid candidate. Having said that, even though you cannot base your renter choice from feelings, you can follow a set of guidelines that will help you find an appropriate renter for your property and hopefully leave you feeling at peace with your decision. Here are a few things to do as you search for a new tenant. It's important when screening a potential tenant to be consistent. 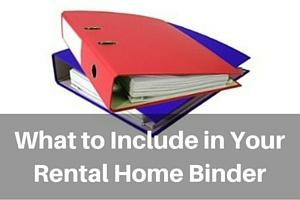 Your ability to select a tenant based on anything beyond facts written on paper is minimal. What I mean by this is, you may not choose a tenant because they look a certain way, are from a certain place, or because you have a particular feeling toward them, just as you may not turn an applicant away for any of those same reasons. We recently had a caller reach out to our customer service line and ask if they could reject a potential tenant based on how they felt about them. You cannot do this. Your tenant selection process must be based upon their completion of the application you provided and their history with renting, paying, and maintaining their property. Nothing more, nothing less. As we get further along, there are Fair Housing Laws that you must abide by and discrimination is certainly protected by them. Now, if you have a strong group of potential tenants, “You are legally free to choose among prospective tenants as long as your decisions are based on legitimate business criteria” according to NOLO. Just be sure not to discriminate within the applicant pool for personal reasons. Check your applicant’s income. I cannot imagine much worse than approving a new tenant and then realizing they are unemployed and cannot afford your rent fee. Figure out what your minimum requirement for monthly income is. For example, many landlords require that the tenant make three times the amount of the rent fee each month. Request a payment stub from their work or a Leave and Earning Statement (LES) for military applicants. Although, if you have a military applicant, their income is available online as well as their housing allowance for your area. However, if you go that route, you will want to verify they have active orders in addition to checking their income and be sure that they are still entitled to it. Credit reports provide you with a wealth of information of your potential tenant. From one credit check, you will know if your applicant has any late fees or non-payments, has been convicted of a crime, evicted, or if they are even financially active enough to establish a credit score. However, we've had to provide significant deposits upfront in order to receive service. I may be biased, but you should be aware that there are people out there like us. It is uncommon, but not impossible, and we certainly appreciated the lenience we received. But financially speaking, it is recommended that you find a tenant with a good credit score for security purposes! Running a background check should be consistent with each potential renter. If people make you feel funny for wanting to run a background check, you can explain to them that it is the standard procedure you must follow. If they have an additional problem with it, then they should probably not be your next tenant anyway. Running a background check will provide you with overlapping information with the credit check, but may bring up additional legal involvement such as evictions, criminal history or civil lawsuits. If your applicant is or was involved with illegal activities or substances, they probably are not a good fit for you. Even if you do not have any other applicants, it is better to screen strictly and wait with an empty property than handle the consequences of leasing to an irresponsible tenant. 5. Use a third party tenant screening tool. Third parties such as Smart Move and Cozy Co. help take care of the tenant screening process for you. All that is left is the need to verify income, which I talked about earlier. Using a third party keeps the process organized and online. While you can and may conduct a credit and background check and reference check yourself, using Smart Move or Cozy Co. allows you to have everything in one place, one source of information and no paperwork. 6. Know the Fair Housing Laws. Know what they are and abide by them. They were written to protect people from from discrimination The Fair Housing Laws specify every reason you cannot use for denying an applicant. As I stated earlier, you cannot reject a potential tenant because of race, ethnicity, or any personal reason you may feel is justified. While this is a general summarization of the housing laws, it would benefit you greatly to read the laws more thoroughly at HUD.GOV. You can and should call references provided on the rental application. While you may have a good feeling that this person is an upstanding citizen and tenant, there is no way to know without digging a little. Call previous landlords and discuss their experience with the applicant. Did they pay rent on time each month? Did they take care of the property? What conflicts did they encounter with said applicant? You can also use this information to reject a potential tenant if you find that it will be bad business because it is fact that they did not pay rent each month or destroyed the carpet, etc., and not just a feeling. Choosing the right tenant for your property is daunting. It is difficult leaving your home or property in the care of strangers. These steps were created to help you make informed decisions regarding your property and give you a peace of mind as you get your property leased as soon as possible!